Researchers in Munich recently presented some very exciting news about a spice that's already known for numerous health benefits. It may protect your heart after surgery. It can help fight obesity. And it could even help ward off Alzheimer's. And what is this spice with all these benefits? Turmeric! Curcumin, the active ingredient in turmeric that's gives the spice its cheery color, is known for fighting inflammation. But, now we know it fights more than just that--it may also stop cancer tumors from forming. This is crucial because prostate cancer is often diagnosed only after metatastic tumors have formed in other organs. Three percent of the time, the metastases are deadly. In the current study, researchers wanted to find out how well curcumin could prevent prostate cancer from spreading. In prostate cancer...as in breast cancer... the tumor cells promote inflammation. 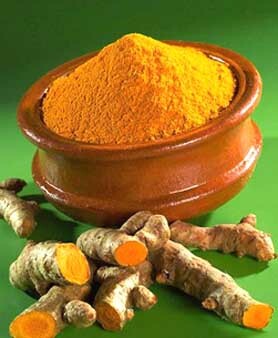 The research shows that curcumin decreases the expression of two proteins (cytokines) that are pro-inflammatory. The researchers found that, in mice, this ability to reduce inflammation went hand-in-hand with fewer tumors. It turns out that because the cytokines promote the spread of the tumors, dampening their effects with curcumin helped to halt the process. The same researchers previously found in an animal study that curcumin significantly reduced the formation of lung metastases in advanced breast cancer. One of the best things about curcumin is that it's well tolerated. Unlike chemo and radiation there are no reported side effects. This means that it can safely be used to both prevent cancer as well as to suppress the spread of the disease when it's discovered. In fact, the researchers believe that curcumin can be used in preventing both breast and prostate cancers as well as to reduce the metastasis or spread of the cancer. And because it's so well tolerated, they say it can be recommended to anyone who has a higher risk of tumors. You can take up to 8 grams of curcumin daily safely. If you have prostate problems, talk to your doctor about adding curcumin to your daily supplement regimen. And if you're a woman who has a family history of breast cancer you may wish to do the same. Turmeric from Oregon Wild Harvest.